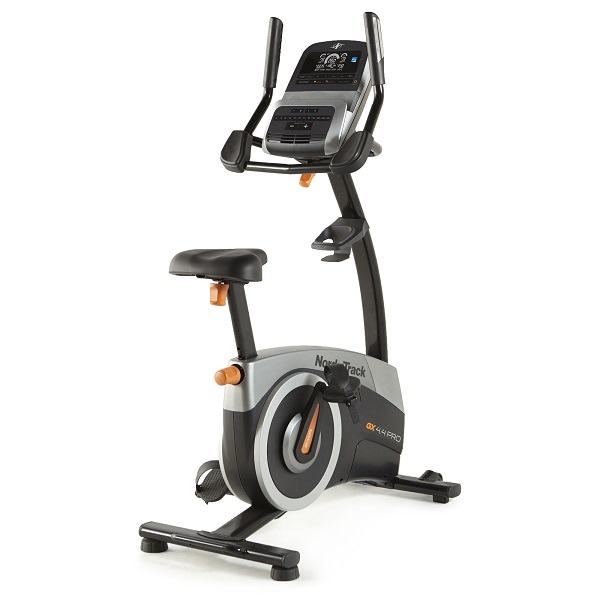 Having reviewed the original DKN AM-3 bike a few years ago when DKN had first entered the UK home fitness market we were pretty impressed at the time. Since then DKN have added several bikes to their range and it’s fair to say that none of them have disappointed. Now, after making us wait a very long while, they’ve finally launched the follow up to the original AM-3 – their new AM-3i model. It would have been remiss of us not to get hold of one and put it through its paces so we did just that. Here’s what we found. Looking at the spec sheet for the AM-3i it immediately hits home that this should be a decent bit of kit. 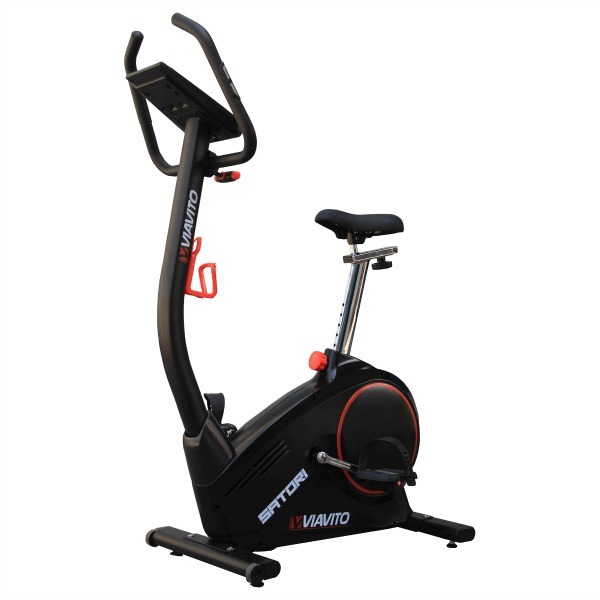 On spec it’s not just equal to the other DKN upright bikes out there, it actually surpasses them! More on that later. Assembly is completed in 8 steps and it’s really very straightforward. While most upright bikes are very similar in the way you assemble them, it’s how well the components are made that makes all the difference. Elements such as the quality of the machining on the screws and bolts, whether holes line up correctly, whether things slot nicely together or need to be forced – these are the differences between a happy experience that has you thinking you’ve made a great decision with your purchase, or the sort of experience that has you holding a grudge against a bike before you’ve even used it and almost wanting to send the thing back. Thankfully, and it has to be said not at all surprisingly, the AM-3i is definitely a bike that re-assures you that you’ve made the right decision. All said and done it took us 25 min to put our test AM-3i together and while it’s likely that your average user will take longer than that, it’s not likely to take more than 40 minutes start to finish. Once built, this is a handsome looking bike. The angular sharp lines and the combination of mat and gloss black panels really makes it look 21st century. It’ll fit into most surroundings nicely and because it’s black it looks compact it won’t hog a room. As with all bikes, the one element that should never be up for negotiation is the comfort factor. If you can’t get comfortable on a bike, in 3 months or maybe less it’ll be nothing more than an expensive mistake pretending to be a clothes horse. Therefore it’s of paramount importance that you get get a good riding position and on this front the AM-3i is definitely up to the task. The saddle can be adjusted in pitch front and rear, vertically for height and horizontally for distance. While the handlebars can be tilted towards to away from you. The range of adjustment is good but in particular, the range of height adjustment is really very extensive. There’s no reason we can see why the overwhelming majority of users wouldn’t be able to find their ideal riding position. The saddle itself is also made from a medium-soft gel and will be comfortable for most people. If you do require a larger base saddle, the mounting peg is a standard size so any cycle shop will be able to sell you a saddle to suit. We don’t think it’s likely you’d need to get a different saddle as the one that comes on the AM-3i is as good as any we’ve come across, but it’s always nice to know the option’s there. Onto the specs. And we’re seriously impressed with these. For a bike at this price point the AM-3i simply reaches heights that other bikes don’t. The first spec that immediately grabs your attention is the stated maximum user weight of 150kg (330.7Ibs). That’s just over 23.5 stone! 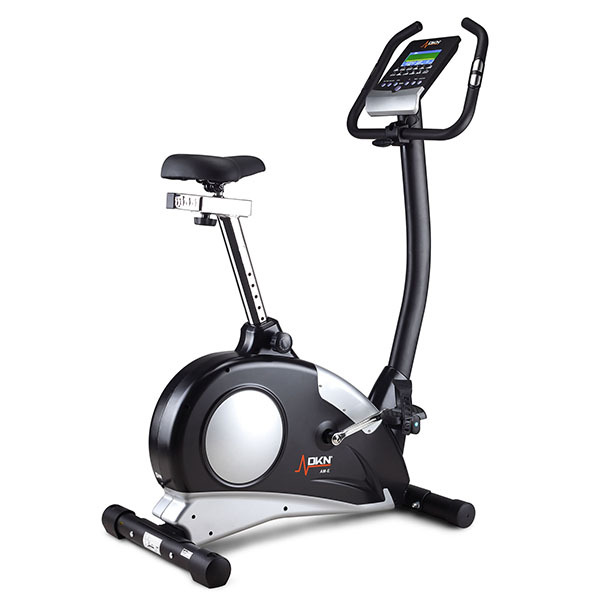 Then there’s the 11kg (24.2lbs) flywheel, the multicolour high contrast LCD console, interactive training apps compatibility and Bluetooth 4.0 wireless receiver (no, that’s not a typo, DKN have actually managed to put a Bluetooth heart rate receiver in this bike). All this on a sub £350 bike is impressive. The thing is, this doesn’t come at a compromise on the build. The AM-3i is as well put together as their other bikes. Quite how DKN have managed to achieve this we’re not sure, but they have and all we can say is hats off to them. In action the AM-3i really does feel very good. That 11kg(24lb) flywheel is hefty enough to provide a very smooth and fluid pedal action that’s consistent right the way through the whole cycle, and through the whole range of resistance levels. The top end of the resistance is good too. 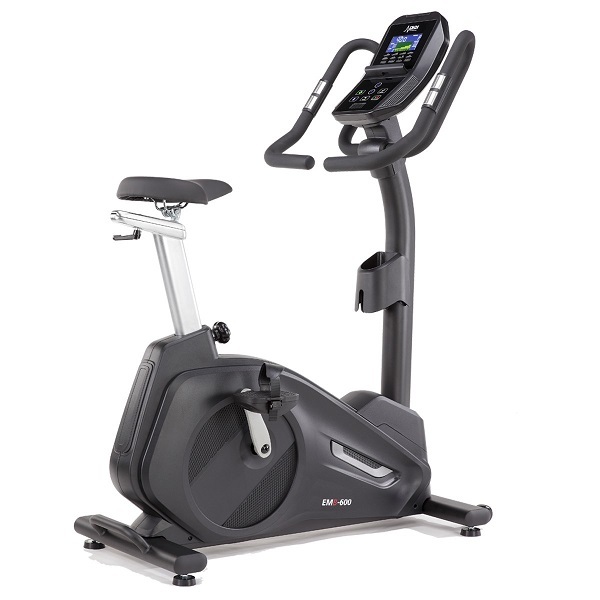 Unless you’re a gym addicted fanatic you’re not likely to need more than the AM-3i provides. The speed of transition from min to max is nothing out of the ordinary but it’s still quick enough to make this bike feel responsive. The console allows up to 4 user profiles to be set up, but you can increase this by using the DKN Motion app. It’s a simple matter of inputting gender, age, height and weight and it does make a difference to the accuracy of calorie consumption figures so we’d say is worth setting up. There are 18 pre-set workouts built in and they are clearly laid out on the console casing for easy reference. The courses have been divided into 3 groups with 4 workouts in each: Beginner, Advanced and Performance (which are based around interval style training) and a nice touch is that these are all scalable. This allows you to increase the overall difficulty of any programme while still sticking to the same format. The advantage of this is that when you find a programme you like, you won’t outgrow it as you get fitter. As soon as it becomes a bit too easy, just up the level! The handlebars have the usual pulse grip sensors, but as always these are notably inaccurate so we’d recommend you utilise the inbuilt Bluetooth .40 receiver by wearing a compatible chest belt. 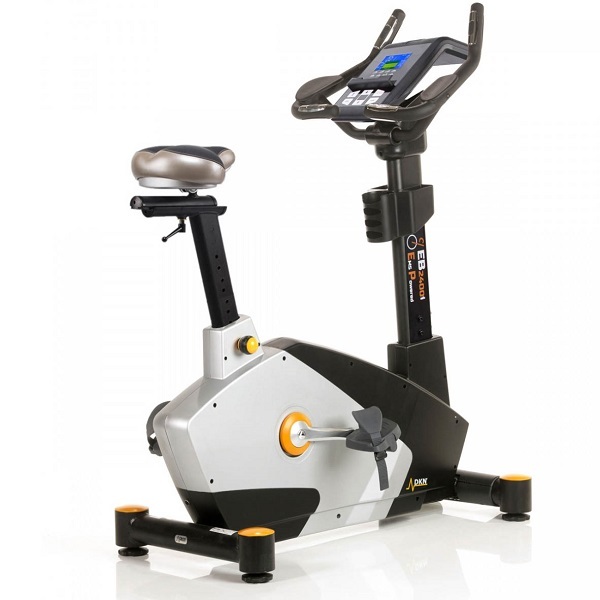 On our test model this performed flawlessly and it also enables use of heart the rate controlled workouts. With the HRC workouts you can set the duration to be any time from 2 minutes up to 99, then set the target heart rate and the computer will automatically adjust the resistance to keep you in your chosen zone. In addition, there’s also a watts mode and recovery mode so you can test how fit you are and see how your fitness levels are improving. The console has a lip above the control buttons to hold a tablet or a phone and has a Bluetooth control module built-in. This allows the bike to be controlled by compatible app installed on a tablet or smartphone. The list of apps is growing with our favourite one being Kinomap which features rolling videos of a large number of trails. The app controls the resistance on the bike automatically to simulate the gradient of the terrain being shown in the video. Making use of apps such as Kinomap is a great way to distract over from the boredom that can set in on longer training sessions. 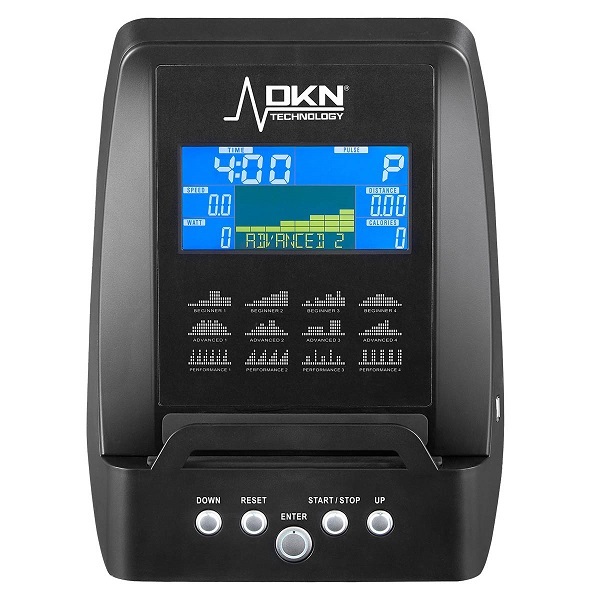 The AM-3i comes with DKN’s 2 year on-site parts and labour warranty so you’re fully covered should anything go wrong. The bottom line here is that the AM-3i is one of the best value for money bikes out there. Nowhere have we come across these sorts of specs at this kind of price and knowing DKN’s build quality as well as experiencing the feel of this bike there’s no reason to doubt the AM-3i is going to be a hit. 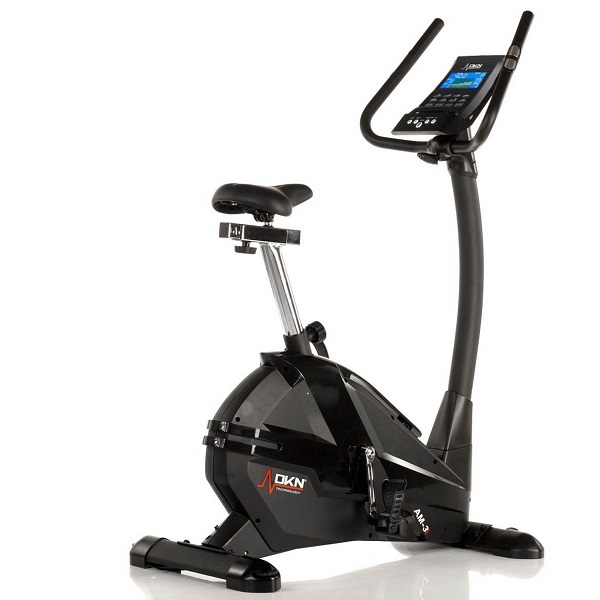 To get the DKN AM-3i exercise bike for only £299, enter voucher code AM-3I on DKN basket page! This bike represents good value for money, does things other bikes don't do, and due to its build quality is suitable for even larger, heavier people. It's easy to use, is smooth and quiet, has tons of training options and won't leave a gaping hole in your pocket.